Daughter made this colorful flowers last week. Sometimes she has this urge to draw anything that fascinates her including this psychedelic flowers. Despite her being busy with school assignments she finds time to squeeze in her drawing and painting hobby. Take a closer look at the flower for a few seconds. Have you noticed anything odd with the image? The flower seems to move in circular motion like a ceiling fan or is it just me? 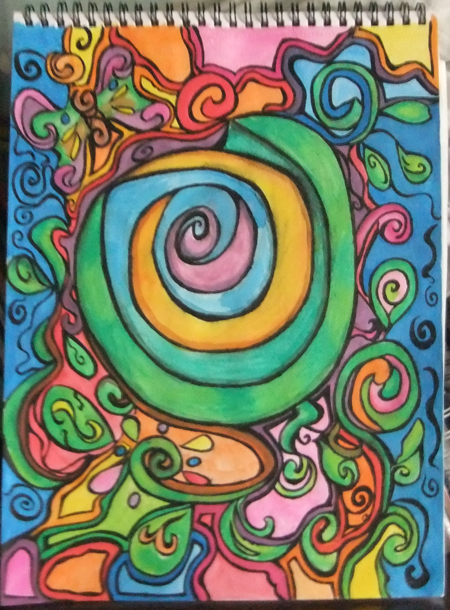 This entry was posted in Art Stuff and tagged colorful drawing, psychedelic flower on June 11, 2012 by Yami.